The first problem was the band had not yet been blocked. I spend time carefully pinning bands square and steaming them. 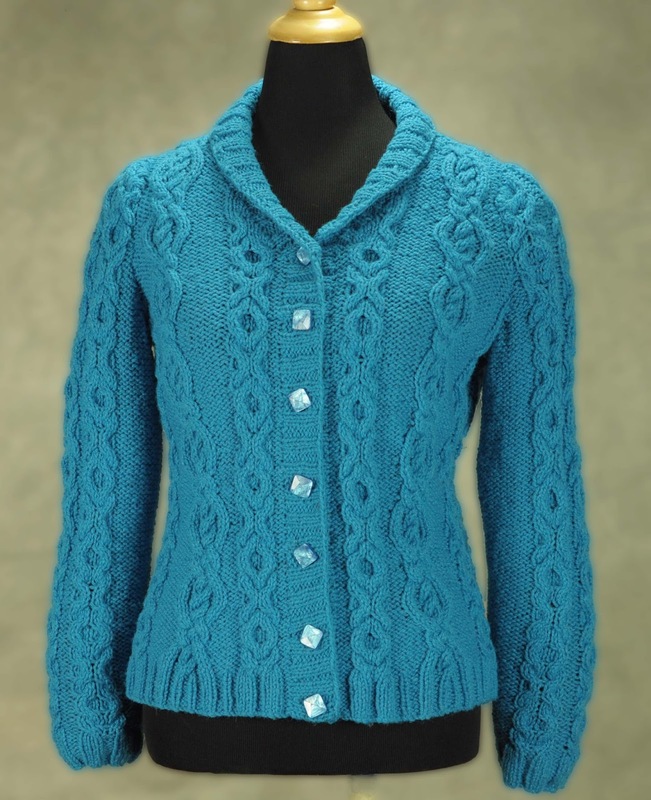 you can use a steam iron, just don't touch the iron to the knitting. If your iron doesn't produce good steam, use a spray bottle of water as well. If your band is especially difficult, work from the wrong side and use a press cloth on top of the knitting (any clean white cloth will work). With a press cloth in place you can use the weight of your iron on the knitting. Don't move the iron around. Pressing is the process of lifting the iron and setting it down again in the next position. In ironing, the iron is run back and forth over the fabric. Don't move the garment until it is completely dry. 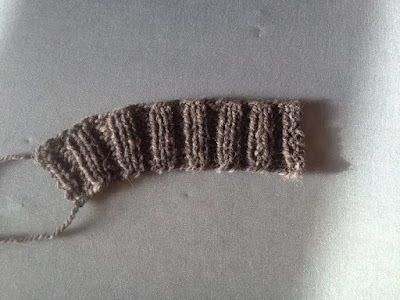 Knitters underestimate the value of steam in shaping wool. When making tailored jackets and when making hats steam and heat are used on wool to create shape. Sewers and tailors uses a variety of tools for pressing. The second problem with the band was the cast off edge. It was simply too tight. An easy way to assess this problem is to compare the rib at the bottom to the rib at the cast off edge, are they the same width? 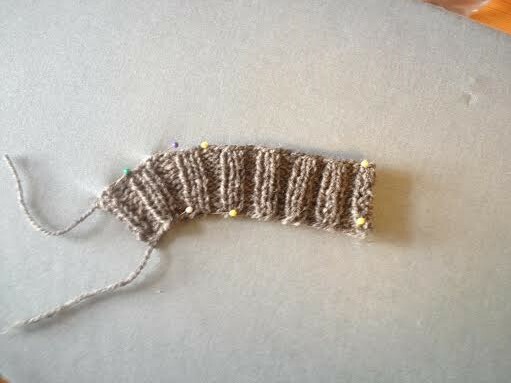 The first ten stitches on the right are too tight. 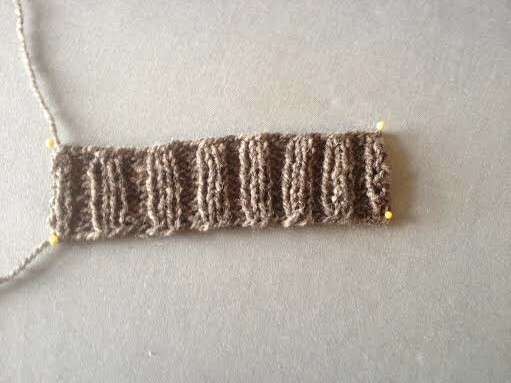 You can see how the column of two knit stitches pull in at the top. The middle ten look pretty good, nice and straight from the bottom edge to the top. The last ten on the left look a little loose. I decreased using three different needle sizes along the edge, increasing sizes from right to left. You should use whatever size needle allows your ribs to lie straight without pulling in at the top. Here's the final step. 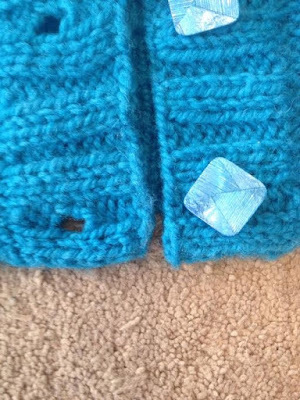 If you use a larger size needle to cast off on the edges where the collar folds over around the neckline you can improve the shape. 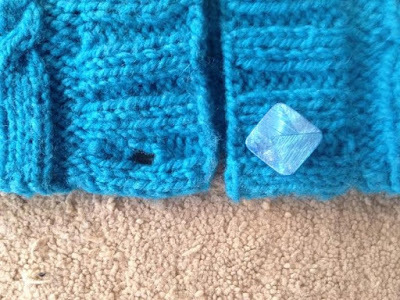 Do the straight edges for the button bands with a size which keeps the ribs even and then switch to a larger needle for the collar and switch back for the second button band section. In millinery work we use heat and steam to shape hat bands in the same way it's called swirling. Stretch the outer edge only to be longer. A perfect shape for a shawl collar don't you think? Now for a test, bonus points for anyone who knows why the bottom edges of my cardigan have a full rib at the bottom edge, but my swatch edges aren't as tidy? 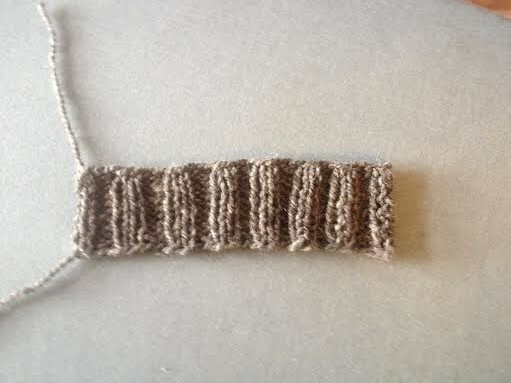 Did you work 3 knit stitches instead of just 2 at each end of the band? You got it! 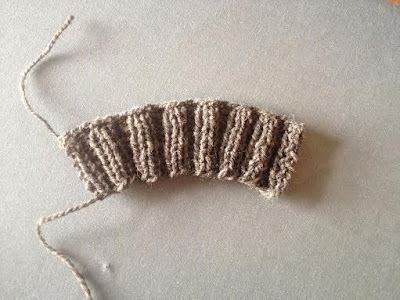 On rib if you add 1 extra stitch to the knits at each end, the extra stitch rolls under and the band looks perfectly balanced. 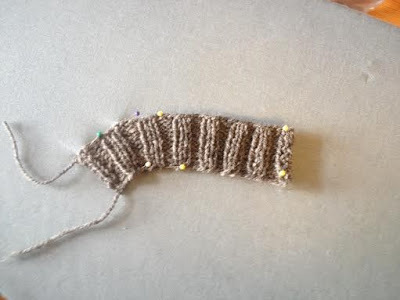 I write the extra stitch into my patterns since that is the way I knit my garments. Can I just say I love you? I always wonder if the pattern has been written for those extra touches or do I need to adjust? I'm at the stage where I know enough to be dangerous!! Wow, Thank you! Some patterns are written that way. I think it's becoming more common with the change from print to PDF download. 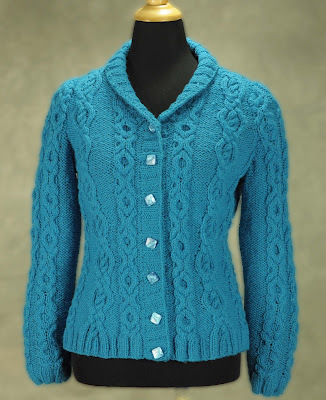 Space constraints played a role in the past limiting detail and it seemed the knitter was just expected to know more. My advice is to question why everything is done the way it is? On some levels knitting is more complex than we think it is and every knitter brings their own technique and style to every project.